We are pleased to be able to offer a well-furnished 2 bedroom apartment in the lovely town of Bellshill. This beautiful lower cottage apartment is located in Bellshill. There are 2 bedrooms, both with twin beds in each, all decorated to a high standard. All linens and towels will be provided. There is also a good sized, cozy living room, complete with a dining area, everything you need to relax after a long day of work or play. Feel free to snuggle up on the couch and watch the flat screen TV, anduse our complimentary WiFi to plan the next day's adventures! 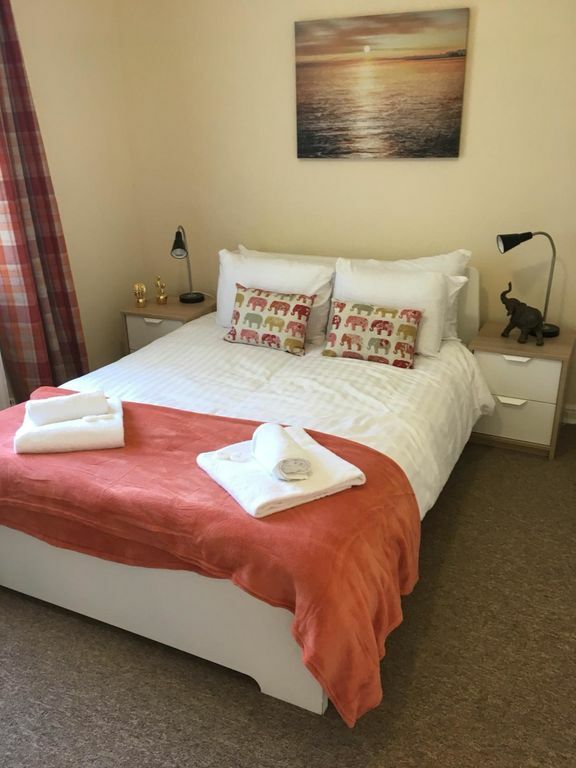 The apartment is situated in a great location and is just a short walk from Omorphia Taverna, a fantastic Greek restaurant, as well as many other local amenities.Tesco Extra is under a 10 minute walk from the apartments and Aldi is just 5 minutes way. There are many local parks and attractions close by to explore, including M &amp; Ds Theme park, Strathclyde Country Park, as well as several bars and eateries.